... select from vintage, collectables and antiques appreciation tours, shopping/buying trips, auction and antique fair visits, and antique restoration courses in the UK, Ireland, Europe, the USA and Worldwide. Antiques tours with Eric Knowles from the BBC Antiques Road Show; destinations include Prague, Vienna, Budapest, Berlin, Meissen, Dresden and Lalique in Lisbon. In the UK there is Ironbridge and Charles Rennie Mackintosh in Glasgow. 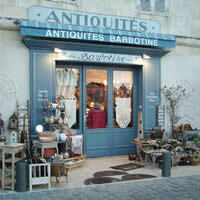 Antiques holidays with expert hosts and guides, discovering and learning about fine antiques. Also general art appreciation tours looking at works of art, textile collections and ceramics in the UK and overseas. Saga offers an ideal choice for anyone with a passion for the worlds of art and antiques. Tailor made city tours focused on design, style, food and culture; including antiques and vintage tours. Antiques shopping tour company offering custom designed multi-day tour packages, lasting anything from two days to two weeks, in six European countries. Escorted antiques buying trips to Europe departing from the US, all tours include at least two major antique shows. Antique buying tours from the US to England, visiting the Lincoln Arthur Swallow Antiques & Collectors Fair and the Newark International Antiques & Collectors Fair. Short antique furniture recognition courses for all levels; learn to appreciate and buy antiques with confidence. Antique restoration business offering weekend workshop courses throughout the year. Specialised holidays including chess and bridge breaks, scrabble and antiques holidays. Special interest tour operator; tours include antique teddy bear tours; and vintage, MG and antique car tours. An antiques holiday in North Yorkshire, which includes three fully illustrated masterclasses, three excursions and an antiques valuation session. The included excursions are to Newby Hall, with its fine C18th interior decoration; Harewood House, renowned for its architecture and interiors, including a Chippendale furniture collection, fine porcelain and art collections; and a trip to to Harrogate Antiques Centre for an opportunity to shop for antiques. This special holiday also includes a valuation session with special guest Eric Knowles from the BBC Antiques Road Show. An antiques focused tour in southern England. The tour includes visits to specialist antiques shops and two days at the huge Antiques and Collectors Fair at Newark. This will include antiques shops in Winchcombe, Stow on the Wold, the Mill Antiques Centre in Chipping Norton, Gloucester Docks Antiques Centre and Bath. These tours are an excellent opportunity for serious collectors to visit quality antique dealers, auctions and sales. • Antiques – at Travel-Quest we use the generally agreed definition of an 'antique' as art work, items of furniture or decorative objects that are at least a hundred years old. • Collectables – tends to be the term used for similar items (specifically items that are much collected), that are less than a hundred years old. These days the term 'vintage' may be used instead. The term: 'antiques and collectables' is often used to cover old items that may fit both/either categories. • Vintage – we regard vintage to mean a collectable item that's at least twenty years old, but less than the hundred years old specified for antiques. • Retro – this is another term you'll come across, but it's largely meaningless and there is no agreed definition. It could be described as anything that looks out of style for the current time. Using that definition it may be an old item created in the past, but equally it may be a new item, created with reference to earlier designs, intended to look as if it has come from a past time. Our Facebook pages are also intended for general chat about our specialist travel categories, so we'd love to hear from you about your experiences of antiques and vintage tours and holidays and any tips and recommendations you'd like to pass onto other readers. The Travel-Quest antiques holidays section lists vintage, collectables and antiques tours, holidays and vacations, antique and collectables buying and shopping trips, antique fair and auction house visits, and antique restoration courses and workshops.